Orders must be placed by 12pm EST to start processing on the same day. Processing time usually takes 1-2 business days. Delivery times are based on orders placed between Monday – Friday. If your order contains pre-order or back-ordered items, please note that we will hold the entire order until the pre-ordered or back-ordered items are available. We cannot split or combine any orders. 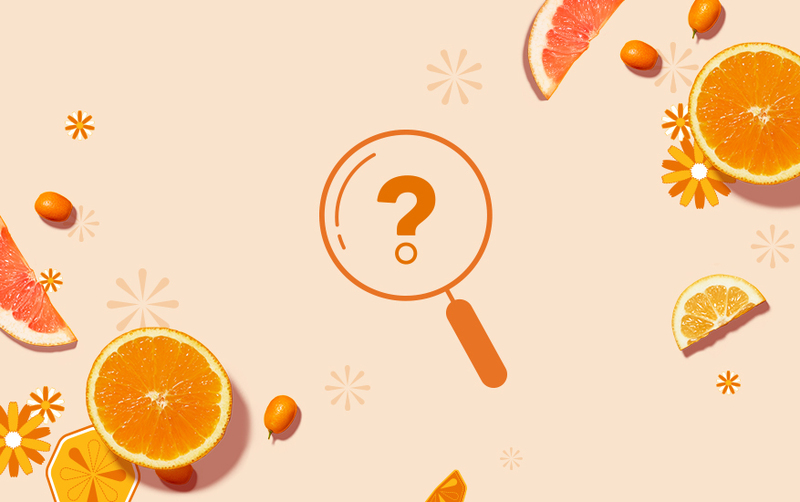 If you have any questions, please contact our customer servce department at customerservice@olehenriksen.com or call us at 1-844-OLE-GLOW [653-4569]. If your order contains a hazmat item (e.g., nail polish, pressurized spray cans, hairspray, etc. ), it must ship Standard Ground Shipping (3-7 days total delivery time). Orders must be placed by 12pm EST Monday – Friday to start processing on the same day. Processing time usually takes 1 business day. Delivery times are based on orders placed between Monday and Friday. OLEHENRIKSEN.com offers FREE Standard 3 Day Shipping on all U.S. merchandise orders $50 and over (excluding taxes). Select items considered hazmat (hazardous materials) are restricted and must be shipped with Ground Service. Orders $50 and over always ship Standard 3 Day Shipping for free—no promotion code needed. For shipments totaling less than $50, there is a delivery charge of $5.95 for Standard 3 Day Shipping. Our standard shipping option is Standard 3 Day Shipping. For shipments to Hawaii, Alaska, and Puerto Rico we offer 2 Day and 1 Day shipping services. We regret that we are unable to ship restricted items to Hawaii, Alaska, or Puerto Rico. If you are shipping to a U.S. P.O. Box, we offer UPS SurePost service free on orders $50 and over. We ship international orders through DHL Express and DHL eCommerce. Where available, you will be able to select your preferred shipping method at checkout. Shipping costs are calculated based on the size, weight and destination country of your package once you begin the checkout process. For your convenience, the shipping costs provided includes all import duties, taxes and applicable fees. All shipments to APO, FPO, and DPO addresses are sent via UPS SurePost service. Due to military handling time, delivery to some destinations may take up to 21 days. At this time, we can only ship to one address per order. To ship to multiple addresses, please call OLEHENRIKSEN Customer Service for assistance at 1-844-OLE-GLOW [653-4569]. All orders ship Monday through Friday, excluding federal holidays within the United States. For Standard 3 Day Shipping, 2 Day and 1 Day Shipping: orders must be placed by 12pm Eastern Standard Time (EST) to be processed on the same business day, otherwise it will be processed the next day. When your order is ready to be shipped, you will receive a shipment confirmation e-mail. The majority of our orders are shipped within 1-2 business days after the order has been placed. The e-mail will contain shipment details, your tracking number, and a package tracking link. To track an order on OLEHENRIKSEN.com, sign in to access My Account that will contain your order information. You may also contact OLEHENRIKSEN Customer Service to track your order. For more information or questions, please contact OLEHENRIKSEN Customer Service via email (customerservice@olehenriksen.com) or via phone at 1-844-OLE-GLOW [653-4569]. Operating hours are 24 hours a day, 7 days a week, excluding holidays.